At midnight Monday, March 1, 1987, WHOO-FM changed its call letters to WHTQ and abandoned its country format. Listeners to WHTQ heard non-stop Beatles songs. The marathon was well-timed, coinciding with the release the week prior of the first Beatles CDs. 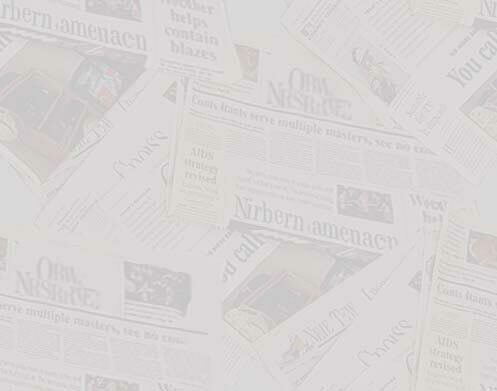 But it was begun only as an interim program. WHTQ general manager Jim Jordan described the station's upcoming format as ''adult rock''. On August 15, 2011, Cox announced that the rock format would be replaced by a simulcast of WDBO-AM 580. 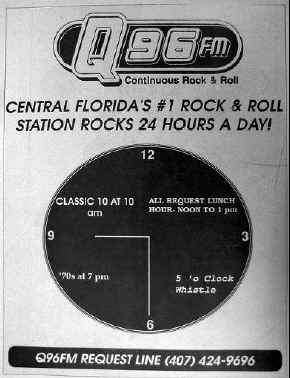 With the WDBO-AM 580 simulcast replacing the rock format of WHTQ-FM 96.5 Program Director Fleetwood Gruver along with mid-day host Slats (Tim Guinane) and night guy Buckley all left the station. Aug 2011-With the WDBO-AM 580 simulcast replacing the rock format of WHTQ-FM 96.5 Slats left the station. 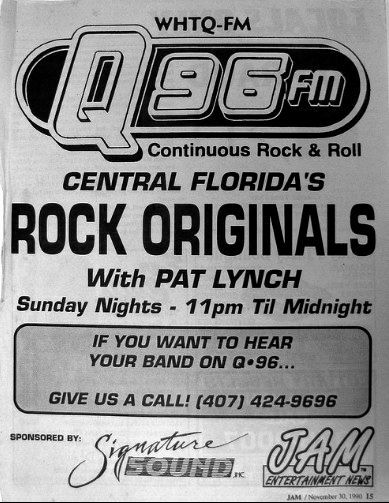 Gary Van Allen (Gary Warne)-1990-1997-Creative Advertising Manager/Air Talent-TK Communications/Radio Orlando L.P.
Aug 2011-With the WDBO-AM 580 simulcast replacing the rock format Buckley left the station. Aug 2011-With the WDBO-AM 580 simulcast replacing the rock format of WHTQ-FM 96.5 Fleetwood left the station.